In the evening and at night the market “flats”: it moves calmly within a price corridor. Fluctuations are small, but predictable. Now we’ll tell you how to determine the turning points of quotes in flat. First, choose the Bollinger Bands indicator with the default settings. It will show the moments of maximum price deviation from its mean value. How do you conclude transactions? In contrast to the trend, flat is characterized by a horizontal and low-volatility trend. Trading in this market is best within price channels. Once you have prepared the indicator template, you must wait until the asset quotes reach the top or bottom of the price channel and conclude a deal on the quotes rebound inside the channel. Now let us explain in pictures. The strategy demonstrates the maximum efficiency in the evening and at night, starting from the second half of the US session (from 16:00 UTC) until the end of the Asian session (until 06:00 UTC). There are stock assets that are in flat for most of the day. 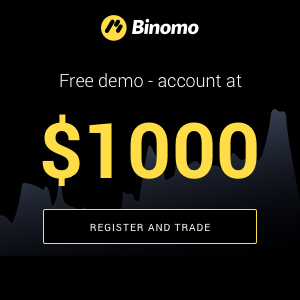 On the Binomo platform, they are represented by currency pairs CAD/CHF, AUD/CAD, EUR/GBP, and Gold asset. The “flat” version of the “Pathfinder” strategy can be used with those around the clock (except at times of important macroeconomic news publication). For market analysis with this strategy, it is recommended to use a timeframe of 1m and term expiration of not less than 5 minutes. 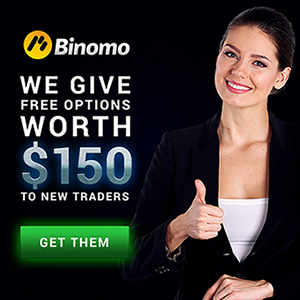 We recommend not entering into transactions that are larger than 2% of your trading account.